By land, by water, and now by air. 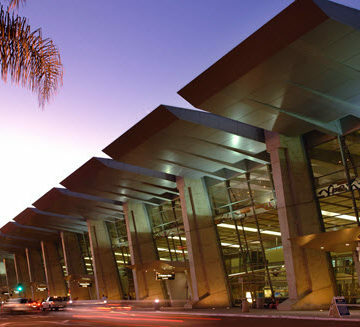 The San Diego International Airport’s Green Build landside project recently received the Envision rating system’s Platinum award – the first airport development so honored by the Institute for Sustainable Infrastructure. Owned by the San Diego County Regional Airport Authority, the landside development is the 13th project in North America to receive an Envision rating system award from ISI, which was cofounded in 2011 by ASCE, the American Public Works Association, and the American Council of Engineering Companies. Green Build significantly expanded the airport’s Terminal 2 to add 10 new gates, a dual-level roadway, enhanced curbside check-in, more security lanes, and a larger concession area. 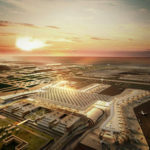 “The Green Build project was the largest construction in the airport’s history and now serves as a hallmark for developing future airport projects using sustainable building practices,” said President and CEO of San Diego International Airport Thella F. Bowens.